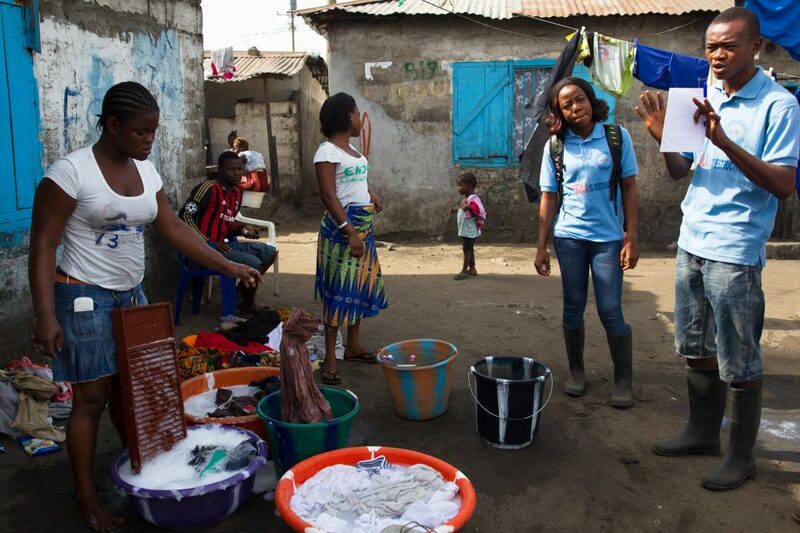 A UNICEF-sponsored project is seeing youth in Liberia take the lead in community mobilization against Ebola. June 8, 2015. Last week I attended a two-day colloquium at the United Nations Office of the High Commissioner for Human Rights as one of a group of about 30 experts invited to discuss a draft General Comment (GC) to the Convention on the Rights of the Child. [i] The topic: adolescence. The diverse group debated a wide range of issues, central among which were how to define adolescence and how science can best inform the development of policies pertaining to adolescent rights and obligations. Should adolescence be determined by exact age limits? If so, what should they be? Many talk of adolescence as “the second decade of life,” or “a period of transition between early childhood and adulthood,” or “the developmental phase following the onset of puberty.” Our conclusion – with some dissenters – was that it would be helpful for the GC to establish clear age limits to facilitate data collection and comparative analysis over time. Data is one of the real deficiencies in this area, and it was felt that an open-ended definition of adolescence would likely exacerbate the difficulties around working with member states to more systematically track adolescence. It was agreed that the GC should suggest that ages 10–18 be used to identify adolescence, without implying that this pragmatic definition corresponded to an exact developmental stage. What Role Should Neuroscience Play? Neuroscientific data increasingly demonstrates a significant discrepancy between cognitive and affective functioning. The intellectual and reasoning capacity of adolescents grows rapidly between ages 11 and 15. But their emotional capability in relation to impulse control, containment of desires, and peer pressure does not mature at the same rate. How then can neuroscientific data be best used to determine the balance between a child’s need for protection and an adolescent’s right to autonomy and agency? Evidence from neuroscience has been the basis for arguments urging lesser criminal responsibility for adolescents, referencing their need for protection over their ability to exercise autonomous judgment. There is a growing awareness of the tension between these two obligations – autonomy and protection – and of the risk that robust emphasis on autonomy might undermine access to protection, or vice versa. For example, if adolescents should have rights to determine their medical treatment and their sexual behavior, then – some have argued – shouldn’t they also be held as responsible as adults for their criminal offending? Conversely, if adolescents are considered incapable of giving consent to sexual relations because of their lack of maturity and susceptibility to manipulation, then – as has happened recently in India – consensual adolescent sexuality can also be criminalized. The group decided that emerging neuroscientific data should be incorporated into all decision making about adolescent capacities and rights, but that it should not be used reductively or overemphasized. Individual differences and the heterogeneity of life circumstances should always be emphasized to draw attention to the huge range of capacity and behavior within any age group. An array of other issues were also considered, among them those related to working children, freedom of expression and the right to congregate without police harassment, and the particular hazards facing adolescents. In the case of the latter, while adolescents face tremendous risks to their health and wellbeing, State obligation to protect them is not adequately addressed in many contexts. The presence of violence in adolescent life – in home, school, community – is pervasive, making theirs the age group most at risk of violent death. Adolescents are the only group where HIV/AIDs is rising. The group of experts provided its conclusions in the form of recommendations to the Committee on the Rights of the Child. The recommendations will inform the process of developing an official General Comment. The colloquium provided a useful forum for advancing the discussion on adolescent rights and for refining the advice and assistance that States Parties will be given once the final version of the General Comment is published. Harvard FXB was privileged to be part of the consultation. A noted child rights expert, Jacqueline Bhabha is research director at Harvard FXB and the editor of Human Rights and Adolescence (University of Pennsylvania, 2014).